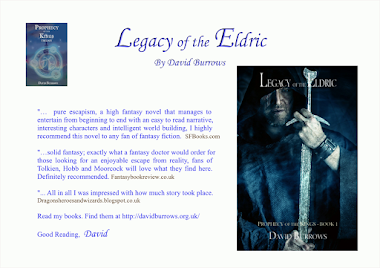 Please visit my website to download seven free book chapters, taken from Legacy of the Eldric - Book 1 of the Prophecy of the Kings. 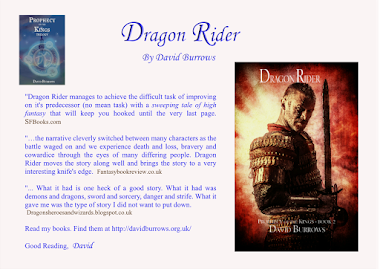 Many thanks for the excellent reviews to date - as an Indie author these are really appreciated. Please keep them coming. I would love to hear from you. 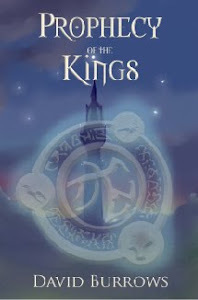 Sales on Kindle have been really good, so thanks to all those who have purchased copies. Coming soon - Drachar's Demons. 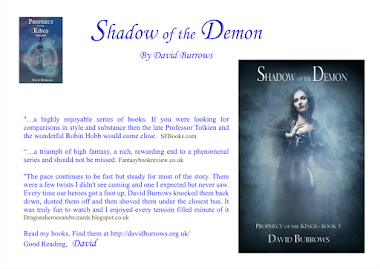 The book is in its last stages of editing and a few review copies have been issued for feedback.